Fury of Dracula | SPACE-BIFF! A steamer, carrying Count Dracula among its cargo, embarked from Genoa. Well, everyone knows Count Dracula died at Borgo Pass. What Fury of Dracula presupposes is: Maybe he didn’t? The riddle of the vampire’s reappearance was not the one plaguing our heroes tonight, however. 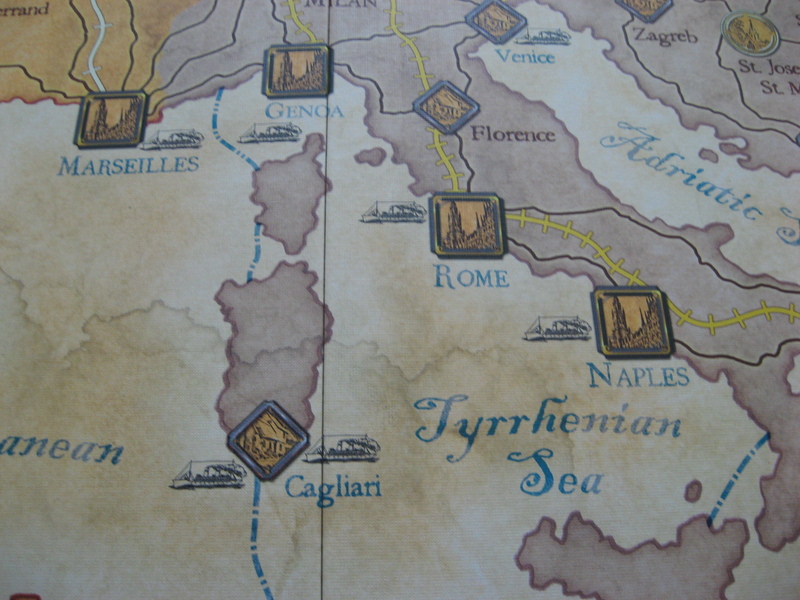 Rather, they (Lord Godalming, Dr. Seward, Professor Van Helsing, and Mina Harker) were preoccupied with a mystery of an algebraic nature: If a steamship sets sail from Genoa, fixes the setting sun to starboard, and ends its voyage into the Tyrrhenian after but a short distance, where but Cagliari, Naples, and Rome could its passengers have disembarked?